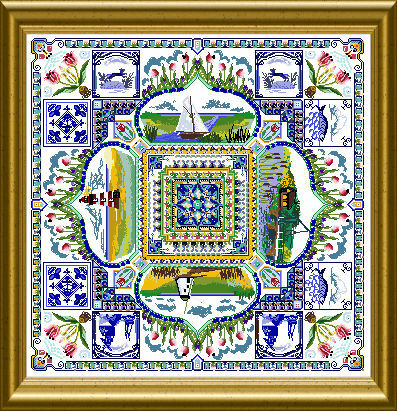 Bright and beautiful landscapes are the trademark of this country at the North Sea coast – windmills, tulips, and the famous blue-white of tiles painted in Delft…. 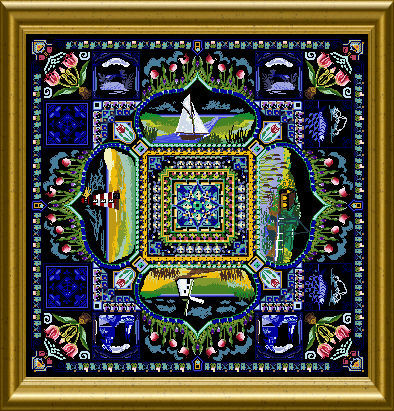 Many different threads, beads and crystals embellish this design together with cross stitch and well explained Special Stitches. I love the Holland madela. How much fabric do I need? Th price is just fot the chart? 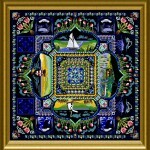 The mere design size is 347 x 347 stitches. You will need to add as much “free” fabric as you need – for finishing, framing , whatever. Is the chart and any instructions available in english? Would you please tell where to buy other materials? You can try ECC – please see link in my FAQ- They sell beautiful kits.